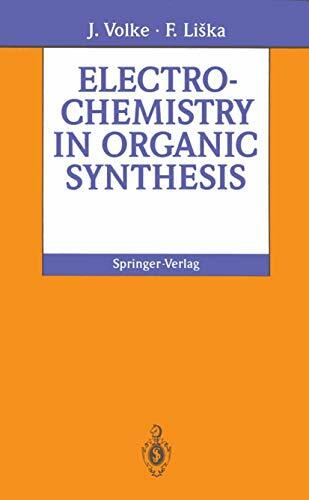 Electrochemistry in organic synthesis / J. Volke, F. Liska. With 18 figures and 12 tables. References. 10^aElectrochemistry in organic synthesis /^cJ. Volke, F. Liska. ^aviii, 153 p. :^bill. ;^c25 cm. ^aWith 18 figures and 12 tables. References.